Officer Chris Adamczyk of Mesa Police Department in Phoenix Arizona, a counter terror specialist leveraging social media analytics for crime investigations, will address 150 of Ireland’s leading public sector communications managers at The Public Sector Digital Marketing Summit in the Mansion House today (Thursday). The Irish Travel Agents Association (ITAA) today expressed their disappointment at the announcement by Irish Ferries of the cancellation of sailings to France on the WB Yeats until September. 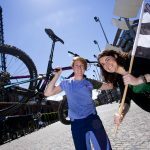 Dublin City Council presents StreetVelodrome Dublin City, as part of National Bike Week 2018, from next Thursday 14th June to Saturday 16th June in Smithfield Square, Dublin 7. This free 3-day family friendly event will include live entertainment, music, kids’ activities, special guest appearances and great cycle sport entertainment! 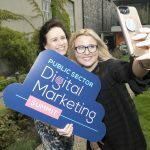 The Public Sector Digital Marketing Summit, which is taking place in the Mansion House on Thursday 14th June, is set to highlight how public sector organisations can, and should be defending the truth in the era of fake news. 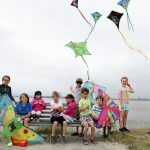 Kite fliers and spectators of all ages will experience a visual feast as the sixth annual Dublin Kite Festival soars into town on Sunday 10th June next on Dollymount Strand, North Bull Island, Clontarf. 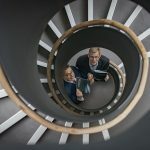 Brought to you by Dublin City Council, this event offers free entertainment all day long and is the perfect way to spend a summer Sunday with family and friends.